As you know, I’ve been watching the food scene materialize at the Elevon development in El Segundo. So far, there’s a Bowlology, and upcoming Petros Kafe, and a Lisa’s Café & Bakery. And now we can add one more to that list. An ABC license application in the window of the space at 735 N. Douglas St. lets us know that a second location of Long Beach’s Ocean Market Grill will soon be moving in. It looks like we can expect a menu of tacos, salads, and… fish. It was back in August of last year that I told you about the first listed restaurant going into the giant Elevon complex still in development on the corner of Mariposa and Douglas in El Segundo. At the time, the paper in the windows indicated that it would be a branch of Bowl of Heaven, the purveyors of all things acai. However, due to some corporate maneuverings within the parent company, this location at 731 N. Douglas is now independent from the BoH empire and now goes by the name of Bowlology. 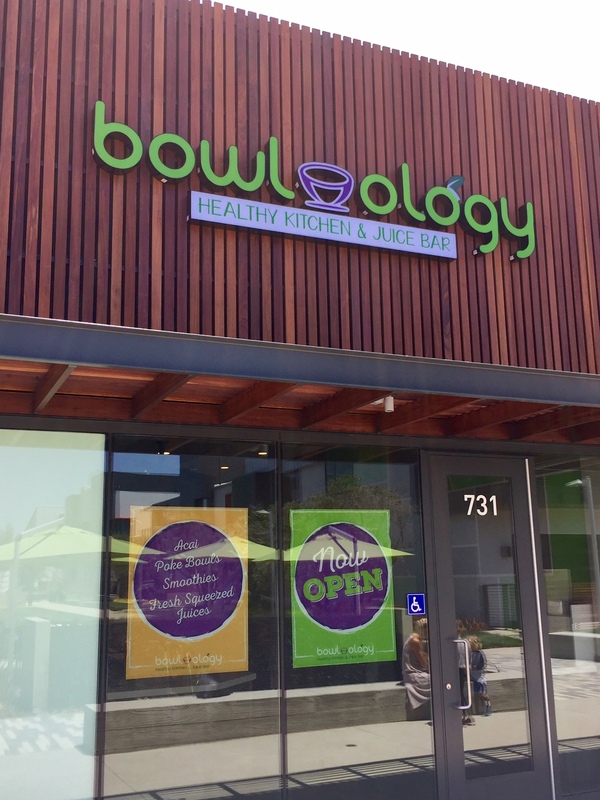 It recently opened, and offers what you might guess: juices, smoothies, and acai bowls. But there’s one big difference: Yes folks its poke-palooza west of the 405! 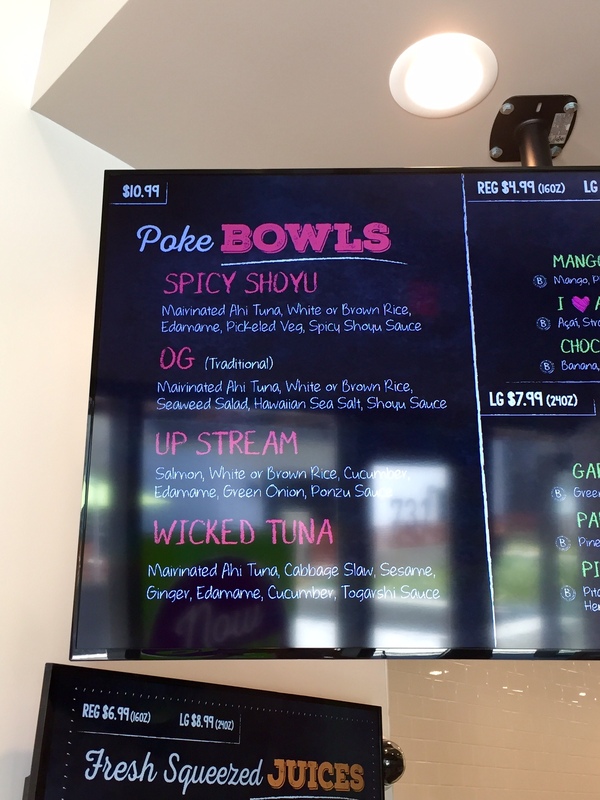 Bowlology also offers a selection of prefab poke bowls, and only just a block away from the also recently opened Ono Poke. Why should anyone have to walk more than a block for poke? As poke hysteria grips the Westside, we learn of yet another raw fish establishment vying for a place at the table. Back in December I told you about the demise of El Segundo’s Salad Creations at 2259 E Maple Ave. in The Edge at Campus El Segundo, next to the giant Elevon complex currently under construction. Signs have recently gone up on the space indicating that the new tenant will be Ono Poke Hawaiian Poke Bowl. No word on an opening date, but I’ll keep watching.